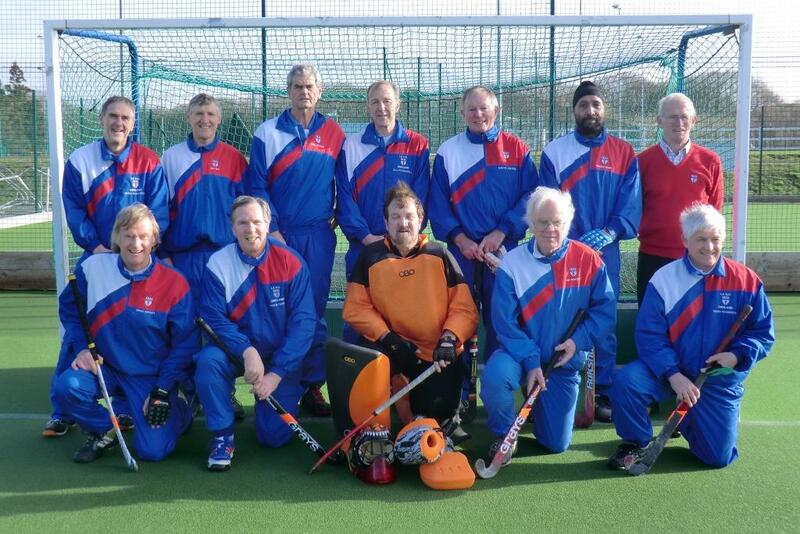 The first preparation match for the 2014 World Cup for LX Reds Over 65s had to be switched from Cardiff to Bristol and many thanks go to Brian Stokes and David Read for organising the re-arranged fixture and venue. Skipper, David Ewing laid down his "ground rules", ‘we don't concede and we press the opposition all across the pitch’! An injured Mike Harris was on hand to provide support, management and guidance. Four "quarters" were played with LX dominant from the start. The Welsh plan was clearly to defend in numbers and despite several short corners the score at the end of session one remained 0 - 0. The second quarter followed the pattern of the first with Jim Tranter, Mark Watson and German Singh all pushing forward to support the attack. LX finally broke through with Ali Robertson deflecting in a "heavily disguised" mis-hit by Ray Jeff, followed by the first of Bill Pickersgill's hat-trick! Despite the LX dominance Eric Best still organised his defence well. The 3rd and 4th quarters saw Welsh resistance crumble as excellent LX "pressing" as well as the tremendous work rate of the forwards, resulted in well taken goals from Brian Hopkins (2), Bill Pickersgill's (2nd), David Thompson and Peter Duckhouse, in his first LX game. Bill Pickersgill then sealed off a very successful first squad outing by bursting into the circle, rounding the keeper and scoring with a neat reverse stick strike! Roll on Durham and the Scots!